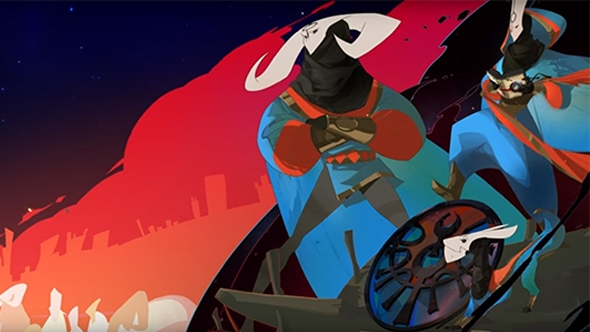 We already knew that Pyre was coming out on July 25, but now we have a gloriously colourful and musical launch trailer to get us excited for Supergiant’s next game. For other games out this year, check out our list of upcoming PC games. I’m a big fan of Supergiant’s games – not a controversial statement considering they made Bastion and Transistor, two games alive with ideas that were excellently executed. One of the things I love about the studio’s games so far, and Pyre looks to continue the trend, is that they don’t rehash what they did before. Each game is a different genre built on different systems and mechanics, all deeply explored. That said, Pyre looks like a step even further removed from Supergiant’s previous games. Gone is the linear story, instead, you control a caravan of characters trying to escape a strange world. As you travel you will be presented with decisions that split and branch the story – not unlike the Banner Saga games. Muddled in with the overworld story is an arena sports game where your three characters try to get a ball into your opponent’s pyre. We’ll see how well it all works out next week when the game releases on July 25.